We believe there is no better environment in which to work and solve problems together, build trust and confidence, share information and help create more effective management teams – which are often characterised by information barriers rather than open communication channels. Sailing provides an entirely different and unique experience where, if the team does not function, the boat will not get from A to B. 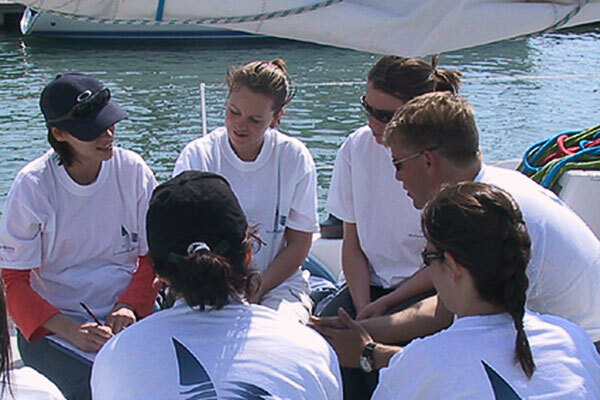 Over the last 15 years we've spent many rewarding days on the Solent working with colleague teams and senior executive development, working in partnership with award winning training partners who have developed existing, proven programmes that use sailing and navigation as a practical context to support the theory. If you would like to talk about team effectiveness and personal development programmes on board yachts, please get in touch.